Prominent & Leading Manufacturer from Surat, we offer dhaga cutting shearing machine, embossing hydraulic shiner calender machine, embroidery finishing machine, roll press machine, jari sparkle machine and saree press machine. 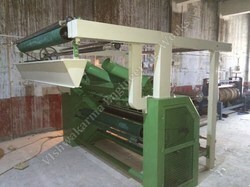 Shearing Machine is used to Siply & Multi Head Embroidery Dhaga Cutting Machine ,Fabric Shearing Machine-Our competency lays in manufacturing and supplying our clients an excellent quality range of Fabric Shearing Machine. The offered machine is widely demanded in textile industries for designing fabric in different patterns and color combination. Our offered machine is manufactured with the help of abrasion resistance material and cutting-edge technology under the visionary guidance of skilled professionals. We offer this machine in different technical specifications for our clients with different choices.So that the actual price of machine can be vary at the time of placing the order due to present market condition and customer's requirement. 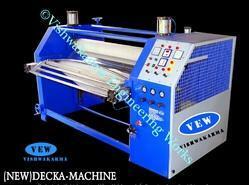 1 Nos Design Roll 8"
Our valuable patrons can avail from us a wide gamut of Roll Press Machine. These machines are developed and designed at our vendors base using optimum grade raw material in accordance with industry laid norms and guidelines. All these calender machines are widely appreciated by our valuable clients for their excellent features such as high durability and high tensile strength. We are offering our clients Jari Sparkle Machine that are manufactured keeping in mind the latest market trends and requirements. 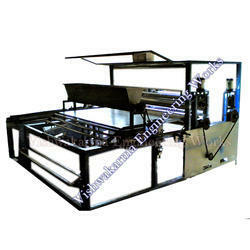 With the help of the modern technologies, we are able to manufacture these in a quick and hassle-free manner. Our professionals also make sure that the products are available at market leading prices. 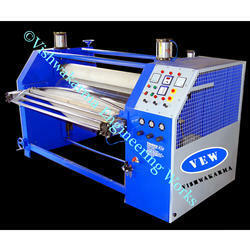 Dear Sir,we are create all types textile machines according to Saree Press Machine in the year 2000, we “Vishwakarma Engineering Works”, are one of the appreciated manufacturers and suppliers of textile machines. The organization is based at Surat, Gujarat (India) and our distribution network is spread across Maharashtra, Gujarat and Punjab. Hyderabad,Kerala,Chirala,Chennai. All South India,West Bengal ,All Over India the years we have been able to garner a huge client base across the domestic market. 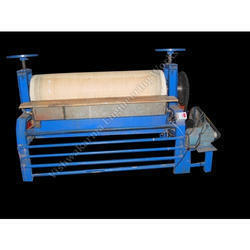 Looking for Textile Machinery ?